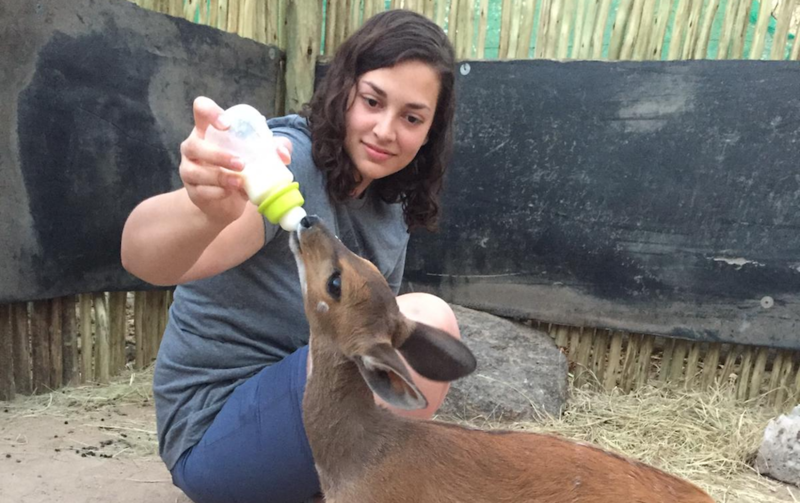 For the last month I have been volunteering in South Africa at the DAKTARI Bush School and Wildlife Orphanage. It has been a wonderful experience here working with children and animals. Each week a new group of eight children, usually four girls and four boys, come to stay at DAKTARI from the surrounding low income communities. They then spend the week learning about the environment, animals and how to respect others and stay safe. My first three weeks here I spent my time helping to teach the children, and I had an absolutely amazing experience. My favorite lesson to teach by far has been the Anti – Poaching lesson, where we teach the children the importance of legal hunting versus illegal poaching. It’s beautiful to see the children’s compassion come out, especially in the kids that are more shy, as they learn about what poachers are doing to animals and how cruel it is. At the end they view a video about the Black Mamba, a group of women anti-poachers in South Africa. Once they see it they have the chance to write a letter to an anti – poaching unit to thank them for the work they’ve done. Watching the children write and then decorate their letters the first week was a phenomenal moment. Even more phenomenal was when they finished and I was able to read what they wrote. So many of the children added their own creative touch. 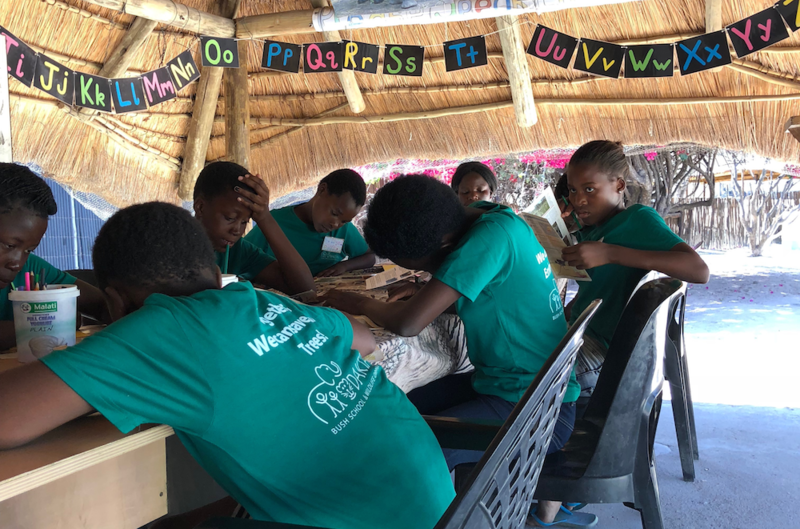 The most beautiful part was that several of the children discussed how proud they were that the anti – poachers were protecting animals for South Africa, and how they wanted to become just like them when they were older. Following my time teaching the children I have started working closer with the Animal manager here. 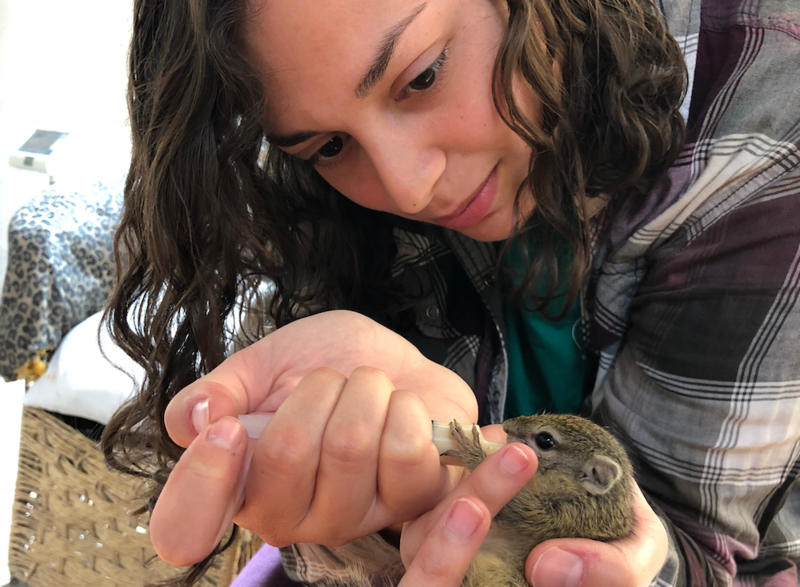 I have had the chance to assist in baby animal feedings for a juvenile bushbuck, a juvenile lesser bush baby and for some juvenile squirrels. Though I was absolutely in love with teaching the children my passion still lies with animal rehabilitation and conservation. Coming here has helped reinforce my passion for animals tenfold, and helped me truly see how happy this work makes me. Coming here has also helped me make connections to other like minded individuals and people in my field. I have learned about so many other volunteer opportunities here in Africa that I can take part in in the future. It has been insipiring to see other people working hard towards their dreams as well because it makes me feel stronger and gives me faith in following my own aspirations. Though I was nervous coming here, I don’t think it could have come at a better time for me. After graduating university and moving back home this summer, I was starting to feel disconnected from the positive and challenging environment my school provided. Right before I arrived here I was starting to feel burned out and exhausted after so many years working towards my dreams and not feeling like I was as close as I wanted to be. 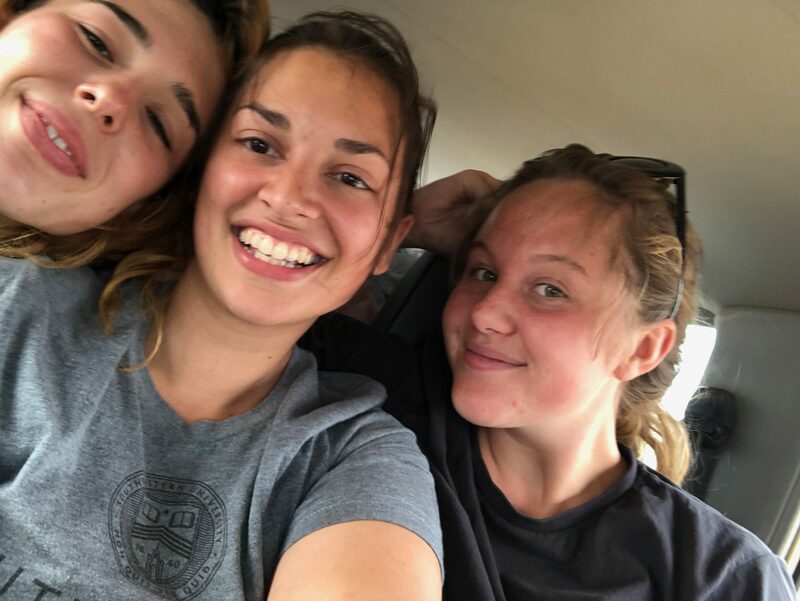 However, after this trip I know that I will go home refreshed and inspiried to continue towards my goals so that I can live my dreams each and every day. I always dreamed of working with lions and doing rehab to help get wild population numbers increased. Though I love my volunteer experience, the absolute best experience of my trip thus far came when I was visiting Kruger National Park. For the first time I saw a wild lion, a whole pride of eight or more lions with several males. They were at least two miles away and I couldnt see them without binoculars, but in that moment I truly felt proud of all the work I have done to get myself to this point in my life. From the age of nine or ten I knew I wanted to focus on lion rehabilitation. For me, nothing can compare to the feeling of seeing my first wild lion. In that moment my heart felt so full, so joyful, and I know that I am right where I am supposed to be. 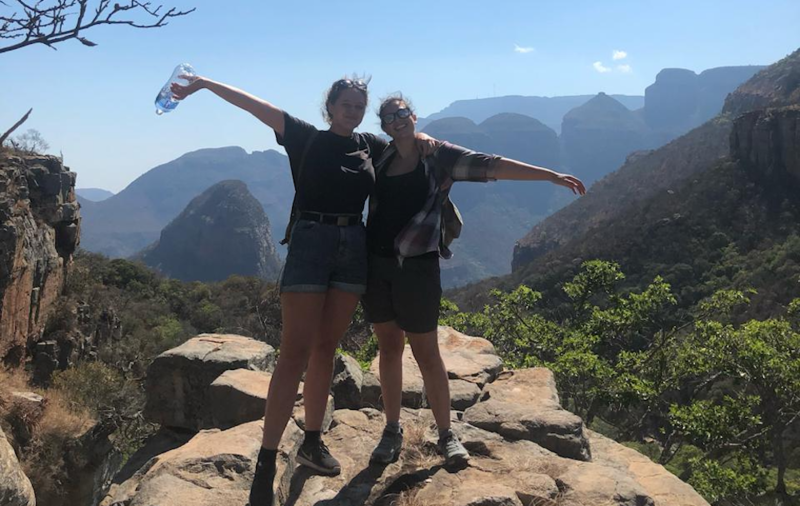 My experience in South Africa has been the best travel experience of my life. Not only has my childhood dream started coming to fruition, but I’ve made friends that will last a lifetime and also made precious connections and gained so much knowledge in my field. This entry was posted in blog, Traveler Stories. Bookmark the permalink.